Designed to handle anhydrous ammonia to 350 PSI working pressure with a 5:1 Safety Factor. 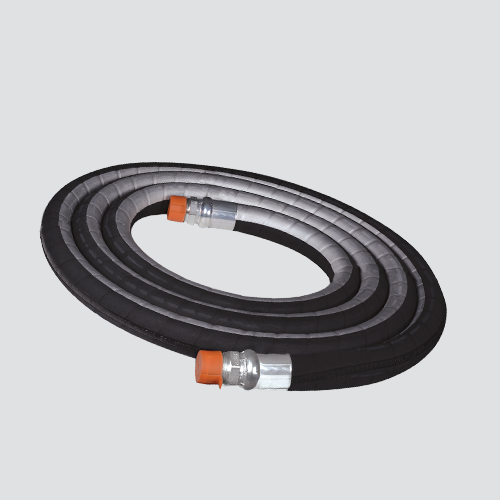 Its corrosion resistant, high tensile stainless steel braid provides strong and flexible reinforcement while its high quality synthetic cover provides excellent ozone and abrasion resistance. This hose meets or exceeds RMA/TFI/ANSI specifications. All assemblies have crimped and certified male pipe thread fittings attached to both ends, plus pin-pricked covers to prevent delamination.